Central Vermont Mission was formed in 2011 with the vision of attracting Volunteer In Mission (VIM) teams to central Vermont to assist local residents with various kinds of projects as described on the HOME page. 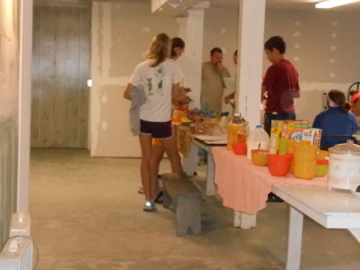 Local churches were available for teams to stay while doing their projects. No VIM teams came that summer. Then Tropical Storm Irene happened and a parish hall in Riverton was about to be put up for sale. The Vermont district superintendent suggested the future of that parish hall could be a home for teams who would come to help with Irene recovery. 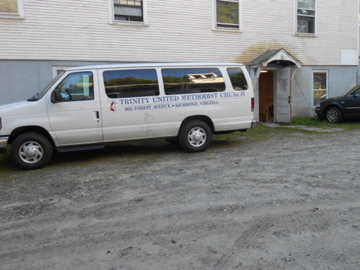 During the winter of 2011 and spring of 2012 many churches sent volunteer teams and Norwich University sent volunteer students to rennovate the MacKenzie Memorial Parish Hall into a bunkhouse, MacKenzie House! 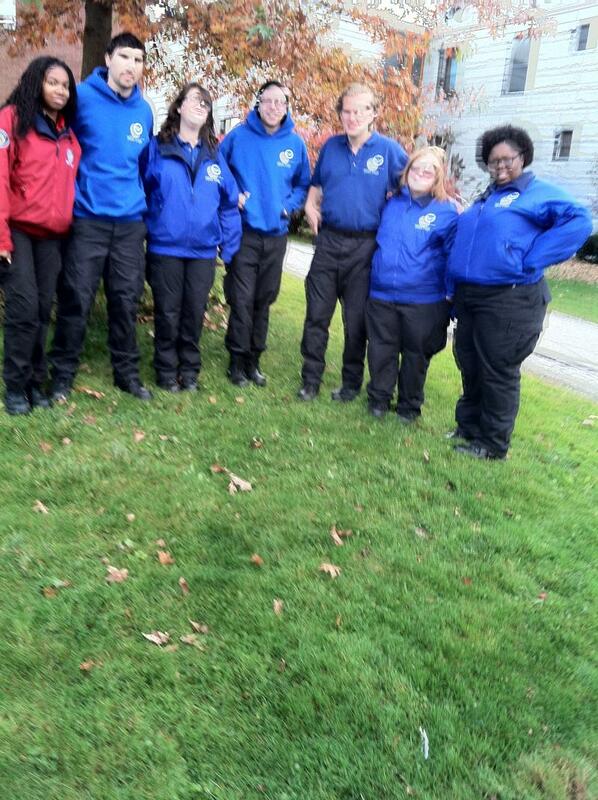 9/18/12 - The Blairsville, PA team is seen here at the Community Dinner at MacKenzie House. 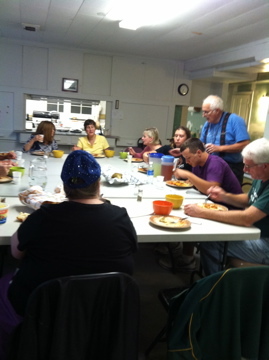 Former members of the MacKenzie Church donated mustacholie, rolls, cole slaw and apple pies! 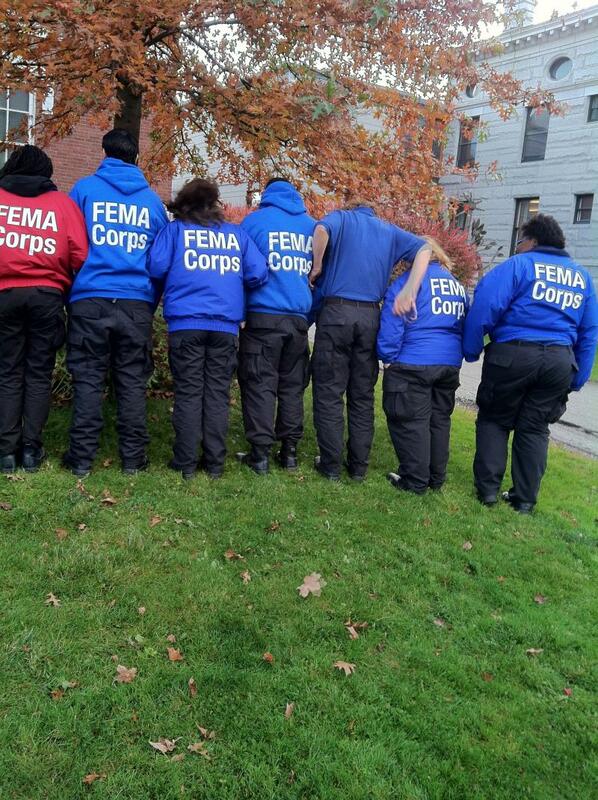 The team members are involved in 2 Irene Recovery projects in Northfield. 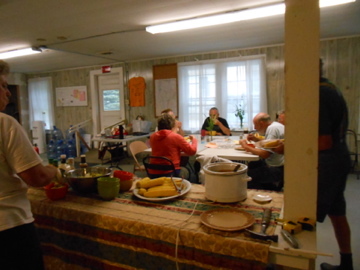 8/25/12 - The Team from St. John's, Hazlett NJ enjoys dinner at MacKenzie house. There is finish up work at MacKenzie House the weeks of August 5 (this week) and August 12. I can help groups on Thursday, Friday or Saturday (any two out of the three, and then one day be a half day). We needed sanding, painting, a little dry wall hung and three doors hung, plus a minor water line repair. Through heroic efforts of several church’s volunteers the week of July 4th, we were able to open MacKenzie House for the first time on July 8th. It is not finished, but it is functional. The first group to use it was a VIM group from Richmond, VA, a group of 27. The facility held up well even though the size of the group is a little more than we have planned for. 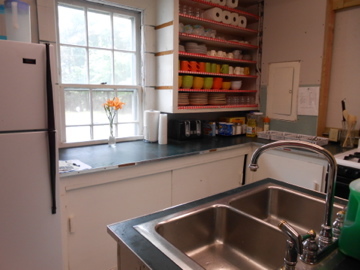 Judy and I provided them with food service and the kitchen was well equipped, thanks to the Northfield UMC, and it worked well. 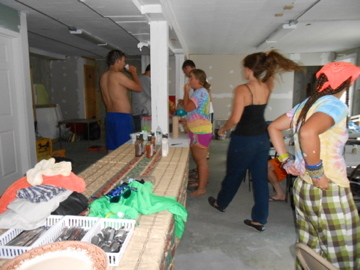 We had another group in last week from Ebensburg, PA and this week from Franklin/Hopington MA. It is great to finally have the facility working. Some of the work yet to be done involves sanding drywall and painting, neither of which do we want to do while groups are staying there. There are some tasks that could be done – the hanging of doors, cleaning of windows and making them operate. The next opportunity for full scale work, when the facility is not in use, won’t be until the weeks of August 5th and 12th. Thanks to everyone who worked so hard to make the dream come to life. 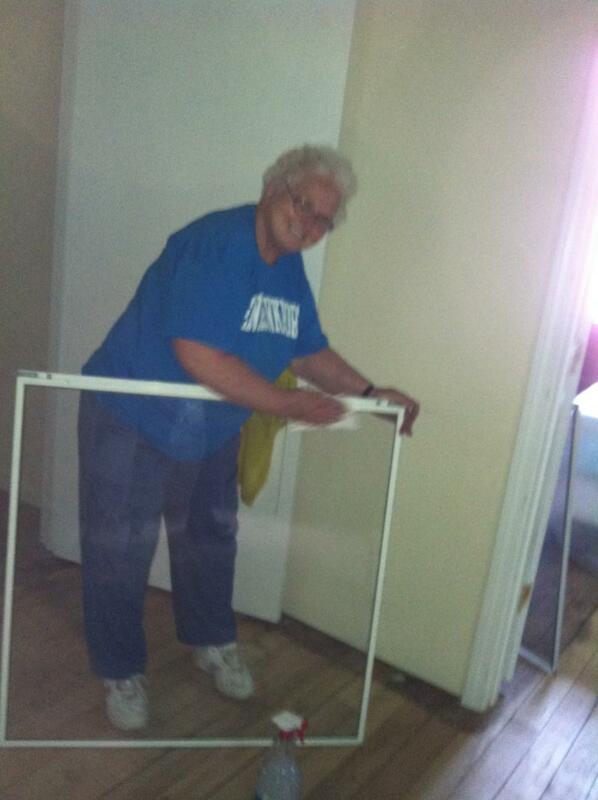 6/15/12 - The work of preparing the MacKenzie House in Riverton was in full-steam-ahead mode. 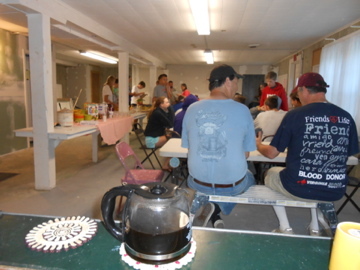 The first team to be housed, a group of about 25 from Oil City, Pennsylvania, arrived the following Sunday. Since then we have had over 30 teams stay at the Mission Station and provide the area residents with many much needed repairs and improvements.